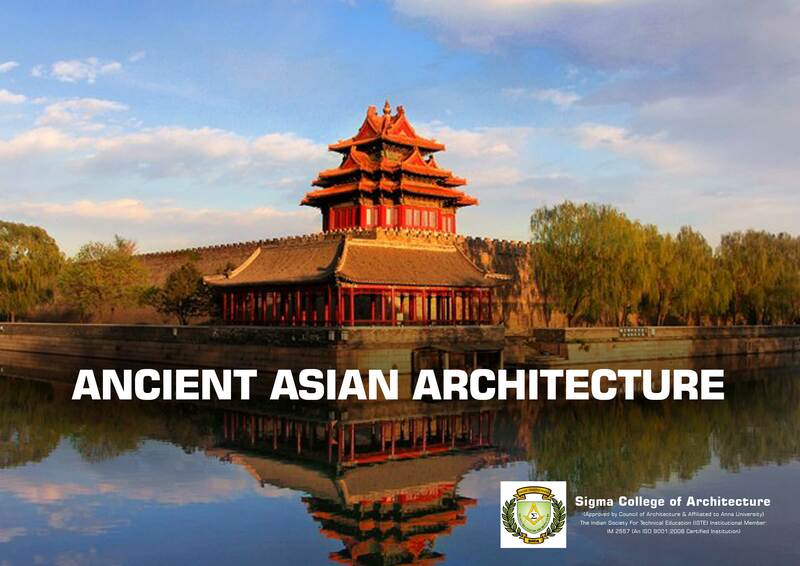 The continent of Asia has a large diverse region with notable examples of Architecture that passed the test of time. Even though the term ‘ancient’ could refer to a vast period of time, let’s just focus on the beginning of the Indus valley civilization. All the structures that existed then were made of available materials like mud, brick or stone. The notable unique Architecture that existed includes the likes of Stupas, structures that held relics or remains of the Buddha, the most famous of the Stupas is the Great Stupa at Sanchi commissioned it in the 3rd Century BC by Emperor Ashoka the Great. Asia was not restricted to the Indus valley civilization as ancient China was also well known for their unique Architecture styles which promoted Structures which were low rather than tall and were supported by pillars rather than walls and they also believed in the concept of symmetry. Here at Sigma College of Architecture, one of the top Architectural colleges in South India we give special importance to these history that speaks volumes of our culture and heritage.